Treatment of acute myeloid leukemia (AML) remains a high-risk venture for the patient suffering from the disease. There is a real risk of succumbing to the treatment rather than the disease, and even so, cure is much less than certain. Since the establishment of complete remission as a prerequisite for cure in the 1960s, a number of years passed before advanced techniques for detecting minute amounts of disease matured sufficiently for clinical implementation. The two main techniques for detection of measurable residual disease (MRD) remain qPCR and multicolor flow cytometry. When performed in expert laboratories, both these modalities offer treating physicians excellent opportunity to follow the amount of residual disease upon treatment and offer unparalleled prognostication. In some AML and age group subsets, evidence now exist to support the choice of both proceeding to allogeneic transplant and not doing so. In other AML subgroups, MRD has sufficient discriminative power to identify patients likely to benefit from allogeneic transplant and patients likely not to. After treatment or transplantation, follow-up by molecular techniques can, with high certainty, predict relapse months before bone marrow function deterioration. On the other hand, options upon so-called molecular relapse are less well tested but recent evidence supports the use of azacitidine both in transplanted patients and patients consolidated with chemotherapy. In conclusion, MRD testing during treatment is a superb prognosticator and a major tool when choosing whether a patient should be transplanted or not. The exact use of MRD testing after treatment is less well defined but evidence is mounting for the instigation of treatment upon rising MRD levels (pre-emptive treatment) before morphologically detectable relapse. O’Donnell MR, Tallman MS, Abboud CN, Altman JK, Appelbaum FR, Arber DA, et al. 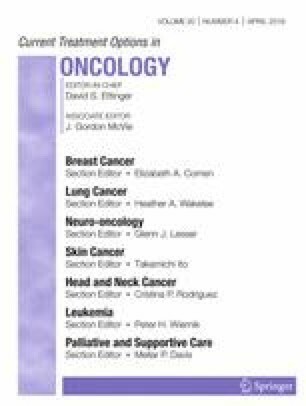 Acute myeloid leukemia, version 3.2017, NCCN clinical practice guidelines in oncology. J Natl Compr Canc Netw [internet]. Harborside Press, LLC; 2017 [cited 2019 Jan 14];15:926–57. Available from: http://www.ncbi.nlm.nih.gov/pubmed/28687581 . Updated NCCN guidelines in clinical management of AML patients. Ossenkoppele G, Schuurhuis GJ. MRD in AML: time for redefinition of CR? Blood [Internet]. American Society of Hematology; 2013 [cited 2019 Jan 14];121:2166–8. Available from: http://www.ncbi.nlm.nih.gov/pubmed/23520326. Craddock C, Raghavan M. Which patients with acute myeloid leukemia in CR1 can be spared an allogeneic transplant? Curr Opin Hematol [Internet]. 2018 [cited 2019 Jan 14];1. Available from: http://insights.ovid.com/crossref?an=00062752-900000000-99282. Schuurhuis GJ, Heuser M, Freeman S, Béné M-C, Buccisano F, Cloos J, et al. Minimal/measurable residual disease in AML: a consensus document from the European LeukemiaNet MRD Working Party. Blood [internet]. American Society of Hematology; 2018 [cited 2019 Jan 14];131:1275–91. Available from: http://www.ncbi.nlm.nih.gov/pubmed/29330221. The ELN consensus MRD paper. Ravandi F, Walter RB, Freeman SD. Evaluating measurable residual disease in acute myeloid leukemia. Blood Adv [internet]. American Society of Hematology; 2018 [cited 2019 Jan 14];2:1356–66. Available from: http://www.ncbi.nlm.nih.gov/pubmed/29895626. An updated review on different MRD quantification techniques with emphasis on future challenges. Grimwade D, Freeman SD. Defining minimal residual disease in acute myeloid leukemia: which platforms are ready for “prime time”? Blood [Internet]. American Society of Hematology; 2014 [cited 2019 Jan 14];124:3345–55. Available from: http://www.ncbi.nlm.nih.gov/pubmed/25049280. Zeijlemaker W, Grob T, Meijer R, Hanekamp D, Kelder A, Carbaat-Ham JC, et al. CD34+CD38− leukemic stem cell frequency to predict outcome in acute myeloid leukemia. Leukemia [Internet]. Nature Publishing Group; 2018 [cited 2019 Jan 14];1. Available from: http://www.nature.com/articles/s41375-018-0326-3. Lazenby M, Gilkes AF, Marrin C, Evans A, Hills RK, Burnett AK. The prognostic relevance of flt3 and npm1 mutations on older patients treated intensively or non-intensively: a study of 1312 patients in the UK NCRI AML16 trial. Leukemia [Internet]. Nature Publishing Group; 2014 [cited 2019 Jan 14];28:1953–9. Available from: http://www.nature.com/articles/leu201490. Yin JAL, O’Brien MA, Hills RK, Daly SB, Wheatley K, Burnett AK, et al. Minimal residual disease monitoring by quantitative RT-PCR in core binding factor AML allows risk stratification and predicts relapse: results of the United Kingdom MRC AML-15 trial. Blood [Internet]. American Society of Hematology; 2012 [cited 2019 Jan 14];120:2826–35. Available from: http://www.ncbi.nlm.nih.gov/pubmed/10648391. Buccisano F, Maurillo L, Piciocchi A, Del Principe MI, Sarlo C, Cefalo M, et al. Minimal residual disease negativity in elderly patients with acute myeloid leukemia may indicate different postremission strategies than in younger patients. Ann Hematol [Internet]. Springer Berlin Heidelberg; 2015 [cited 2019 Jan 14];94:1319–26. Available from: http://link.springer.com/10.1007/s00277-015-2364-5. Liu J, Zhao X-S, Liu Y-R, Xu L-P, Zhang X-H, Chen H, et al. Association of persistent minimal residual disease with poor outcomes of patients with acute myeloid leukemia undergoing allogeneic hematopoietic stem cell transplantation. Chin Med J (Engl) [Internet]. Wolters Kluwer -- Medknow Publications; 2018 [cited 2019 Jan 14];131:2808–16. Available from: http://www.ncbi.nlm.nih.gov/pubmed/30511683. A noteworthy paper demonstrating the clinical experience from the last 15 years: patients who are MRD positive before transplant relapses! Campana D, Pui C. Detection of minimal residual disease in acute leukemia: methodologic advances and clinical significance [see comments]. Blood [Internet]. 1995 [cited 2019 Jan 14];85. Available from: http://www.bloodjournal.org/content/85/6/1416.long?sso-checked=true. Ommen HB, Schnittger S, Jovanovic J V, Ommen IB, Hasle H, Østergaard M, et al. Strikingly different molecular relapse kinetics in NPM1c, PML-RARA, RUNX1-RUNX1T1, and CBFB-MYH11 acute myeloid leukemias. Blood [Internet]. American Society of Hematology; 2010 [cited 2019 Jan 14];115:198–205. Available from: http://www.ncbi.nlm.nih.gov/pubmed/19901261.